When I was pregnant with Grayson I remember how people annoyingly loved sharing their thoughts on the differences between having boys and girls with me. One of the biggest differences was concerning the reported difficulty potty training boys. 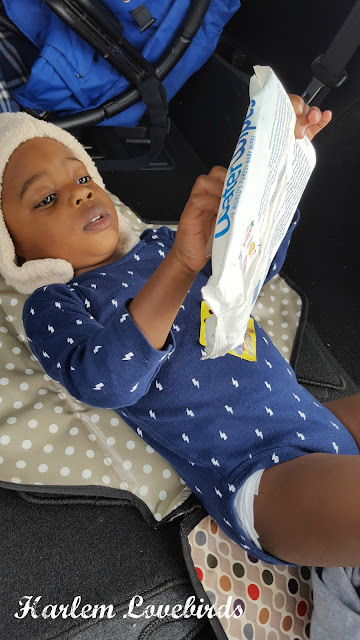 As a result, I kind of dreaded what was to come with potty training Grayson especially after Nia's experience being so easy. Well in the past year we've come a long way (remember how he was removing his diaper last December?) and now we're at the point that when we're home he prefers to be diaper-free and has woken up dry from a nap. I know we're in the home stretch of potty training, but that doesn't mean we don't have accidents though - and they doesn't always come in the form of potty training challenges! WaterWipes in the car helped us with a sticky situation! 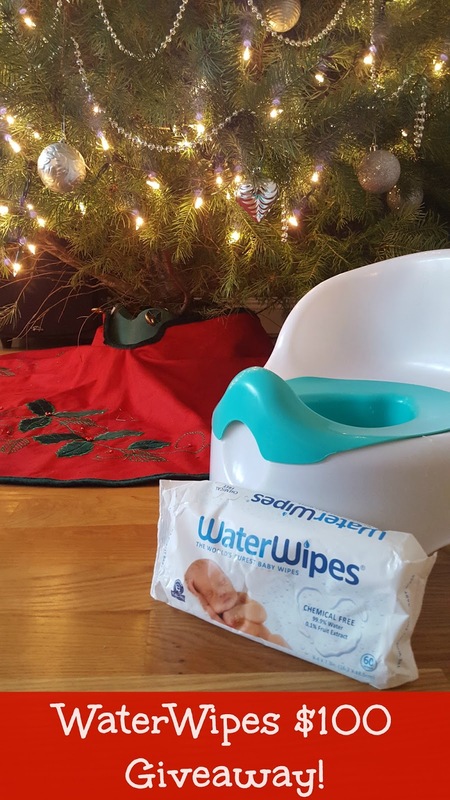 WaterWipes are helping us get through our messes chemical free and with ease. Made with only two ingredients, 99.9% pure Irish water and 0.9% grapefruit extract, with Grayson's sensitive skin we've been fan of WaterWipes since he was a baby. 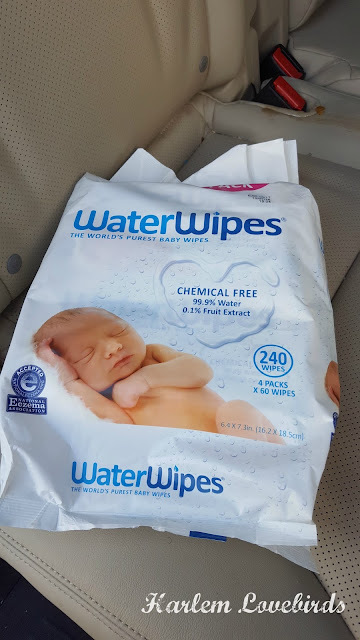 When the WaterWipes team replenished our stash I basically swept through various areas of our home then out to our car shrilling, "YOU get WaterWipes and YOU get WaterWipes..." in my best Oprah voice! I love how they come out one at a time as they're individually folded so they remain as sanitary as possible. From snack spills to epic diapers (like the one time I had to rush out of the grocery store to change Grayson in the back of my car! ), I appreciate how WaterWipes are unscented and gentle. When we went to NYC and Maryland for Thanksgiving the kids had an epic syrup spill in the back seat. I was annoyed at myself into giving in to their French toast sticks request (hey, whatever keeps them quiet on the long drive! ), but then I remembered our WaterWipes in the back. I was able to easily wipe up the syrup without any harsh sprays or smells and we continued on our way! You can find WaterWipes at Walmart online here: www.walmart.com as well as in store - check their store locator here: https://www.waterwipes.com/us/where-to-buy/. Be sure to follow WaterWipes on Facebook and Twitter for the latest product news and promotions.